The Audix F90 Miniature Clip-On Condenser Drum Microphone is a cost effective miniature clip-on condenser microphone used for drums and percussion applications. The Audix F90 is intended for rehearsal bands, small clubs, schools, and houses of worship. Characterized with a uniformly controlled cardioid polar pattern the Audix F90 provides a rich, full sound at distances of 3-4 inches off the drum head. With a smooth and accurate response over a frequency range of 50 Hz - 18 kHz, the Audix F90 is lightweight, compact, and simple to use. The flexible gooseneck, along with the 90-degree angle of the microphone head, puts the microphone in the proper position for placement directly over the sound source. Any final adjustments can be made by simply twisting or bending the gooseneck into the desired position. 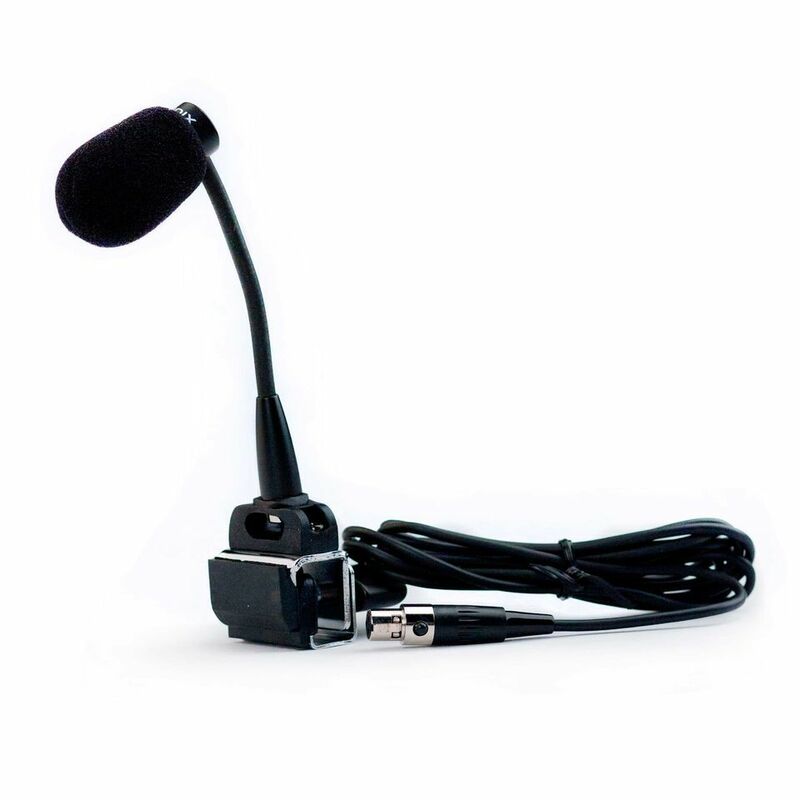 The Audix F90 operates on phantom voltage of 9-52 Volts and is supplied with a phantom power adapter, 6’ integrated mic cable, and foam windscreen.